Welcome to Best Western Plus Palm Desert Resort!Coachella hotels are known for providing the ultimate customer service, and our Palm Desert hotel delivers service, quality and value in droves.A nice outdoor pool is the perfect place to relax and soak up the California sunshine. However, every day should begin with a hearty all-American breakfast. Your hot, cooked-to-order breakfast includes hot eggs and waffles, your favorite fruits, a selection of cereal and yogurt, incredible pastries and bottomless 100% Arabica coffee or chilled juices.The Best Western Palm Desert Resort is your retreat and the perfect place for a romantic escape. A central location to golfing and Palm Desert attractions, the best of the area is moments away. Whether you want to spend the days on the links or shopping at some of the best boutiques in California, this is your vacation. How do you want to spend it? Our friendly hotel staff members are happy to provide recommendations on attractions, fine dining and shopping.The Indian Wells Tennis Center is located nearby, and many guests at our Palm Desert hotel opt for tennis lessons or a game of doubles while on vacation. Weâ? ?re close to over 100 golf courses, so you can try a new one each day. From the McCallum Theatre to the famous Coachella Music Festival, the arts flourish here in abundance. At the Best Western Plus Palm Desert Resort, every day is summer and thereâ? ?s something new to discover.Our Palm Desert hotel is located near the Joshua Tree National Park, and we enjoy 365 days per year of sunshine. A romantic stroll, hike, or working on those photography skills is easy here. The Best Western Plus Palm Desert Resort is your home away from home, with luxury bedding and spacious, cool rooms for your comfort. Book your next stay at Best Western Plus Palm Desert Resort and get ready for endless summer! Pets allowed based on the availability of pet friendly rooms. Up to 2 dogs per room with a 80 pound weight limit. Additional pet types (cats, birds, etc) may be accepted at the hotel's discretion. The pet friendly rate is $20.00 per day with a $100 per week maximum. 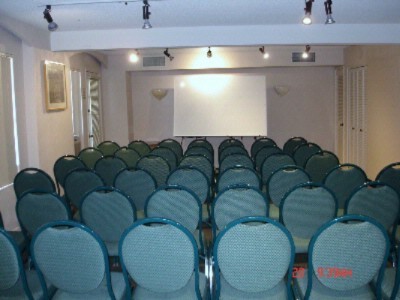 Below are the meeting, banquet, conference and event spaces at Best Western Plus Palm Desert Resort. 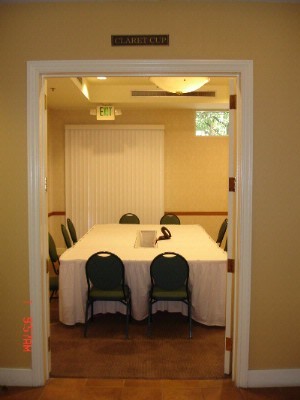 Feel free to use the Best Western Plus Palm Desert Resort meeting space capacities chart below to help in your event planning. Hotel Planner specializes in Palm Desert event planning for sleeping rooms and meeting space for corporate events, weddings, parties, conventions, negotiated rates and trade shows. 44 x 51 x 8 Ft.
22 x 36 x 7 Ft.
18 x 14 x 7 Ft.